Nash canopy design avoids the need for planning permission. 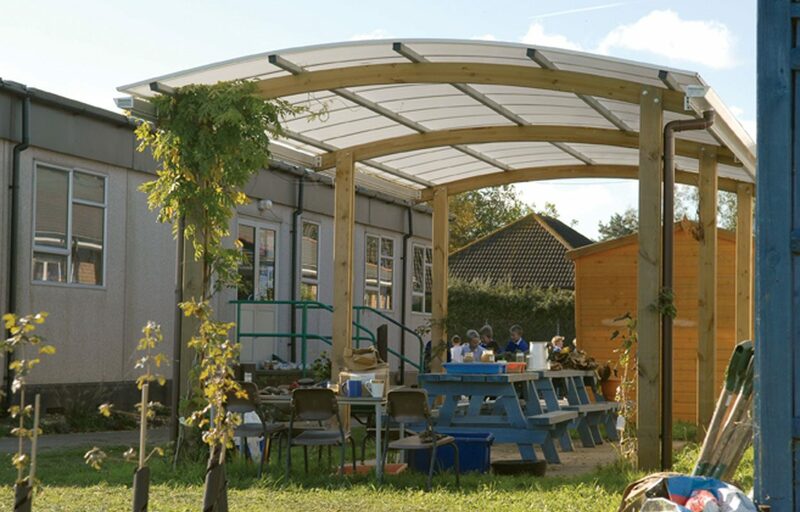 Quick and easy to install, the Nash canopy provides an ideal cover for an outdoor classroom, waiting area, or social space. 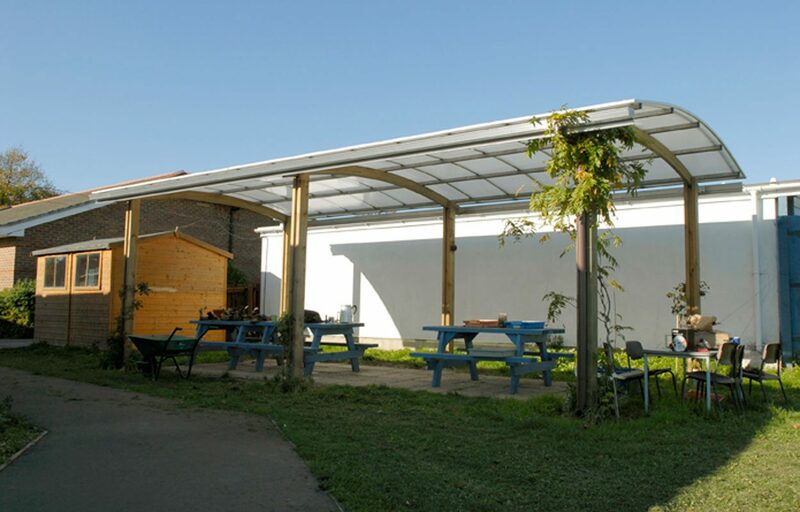 The size of the canopy has been specifically designed to avoid the need for planning permission. 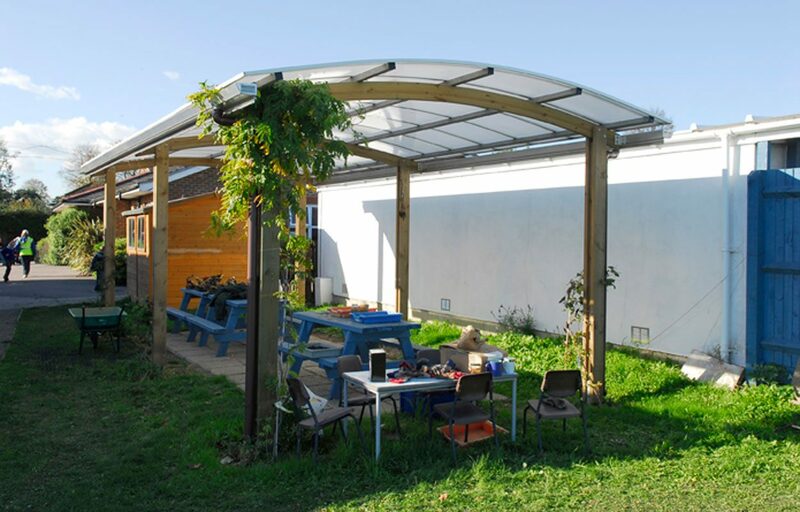 The structure is available in either timber or galvanized steel that results in a long and maintenance free life. The structure can also be finished in a polyester powder coat to match existing finishes.